Pernille Carstens, Moritz Kinzel, Thomas Bo Nielsen and Lars Schmidt eds. 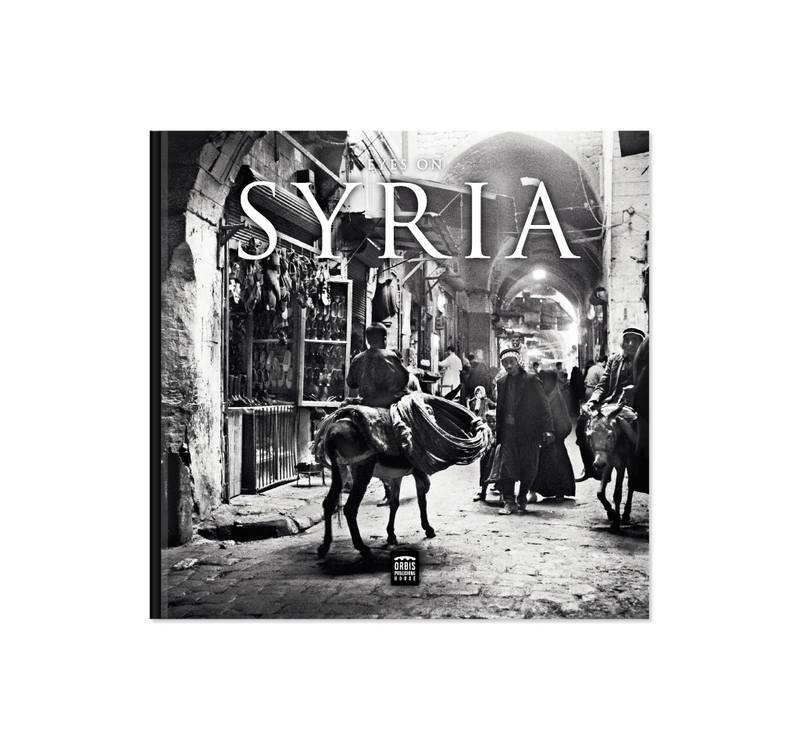 In 1961 three Danes, two of them photographers, visited Syria on their way to an UNESCO project in Sudan. The political situation was unstable in Syria. The country was still a part of the United Arab Republic, formed with Egypt in 1957. After the end of the Union with Egypt in 1961 Syria underwent turbulent times of unrest with a series of coups and clashes close to a civil war. An album was re-discovered recently containing around 150 photos taken in Syria and Lebanon on the way to Nubia in early 1961. The old negatives are full of information and details and the photographer, Lars Schmidt, has conceived a method to develop and preserve all the information contained. We are close to what the photographers actually saw with their eyes on their past travel through Syria. In this way we can manage to ensure these pieces of visual art as preserved cultural heritage for the future. Eyes on Syria is an important documentation of people and places. The book collects so tragic lost cultural heritage, but also memory. Remembrance could be an important strategy for creating hope for the future as well as rehabilitating and creating identity. Preface: Former minister of foreign affaires Per Stig Møller, Ingolf Thuesen Head of Department of Cross-Cultural and Regional Studies, University of Copenhagen and the introduction by the editors.